Caswell's Hotel, Store and Garage. Photograph, 1930. 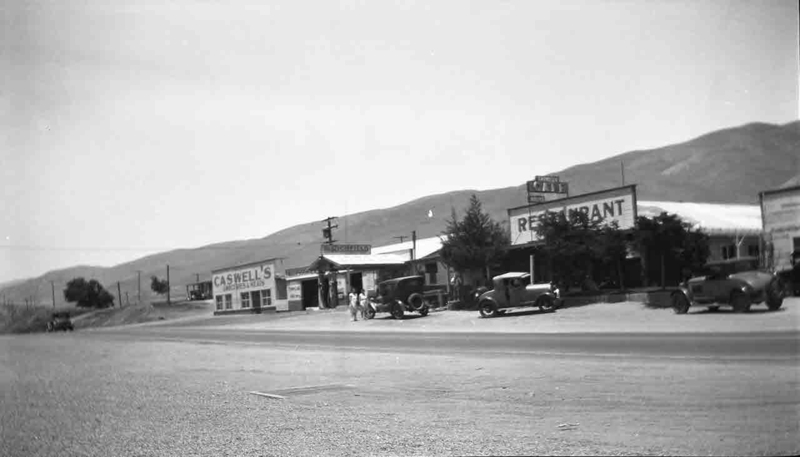 Caswell's was located at the bottom of what was Holland's Summit on the current Gorman Post Road between Highway 138 and Gorman. According to Ridge Route historian Harrison Scott, "There were ten rooms with running water in cottages, a double, $2, garage, restaurant and a pay camp. The restaurant, garage and gas station were located on the east side of the road with the auto camp and store on the west." AL2065: 9600 dpi jpeg from original photo negative, collection of Alan Pollack.